Heading into the final days (yes…actually the final hours!!) before my first 100 miler, I have so many thoughts… So I just figured I would go over my final must haves, race details, race plans, crew details, and all-over race prep. This one is a doozy…so settle in for the brain vomit overload! If you have followed along the past couple weeks, you have seen this ever-growing list before! I covered my must haves for my first 100m in part 1, part 2, part 3, part 4 and part 5 leading up to the main event in a COUPLE DAYS. While some pieces are like “duh Lindsey…of course you are going to need THAT”, I can always use the extra note to remember ♥ Running 100 miles could be as easy as lace up and go…but not this time! more extensive medical kit – hello Melanie! bright shining smiles, encouraging words, and lots of positive vibes!! While I put my 2 rollers on part 5, I thought this would be good to make sure it was included again for reinforcement purposes. I was told by my pacer to make my husband my personal roller-outter…and since his task list is adding up, this is an important one! Keeping my legs as loose as possible will keep me moving well for longer! When the times get tough, because they WILL, just stop (don’t ACTUALLY stop, but keep moving forward) and take a minute to look around! These trails are beautiful – with the bug noises, water splashing, trees rustling, snakes slithering (blehh….) – the joy of being in pure nature can bring you out of a funk. Per the ever changing weather, I will be packing up a couple different raincoat options… One has a liner in case I am getting too cold. One is a single layer and lighter. All HOPES is that the rain will stay at bay, but who knows what will happen… BE PREPARED! …duh. I would have forgot if I didn’t put it down. My goal for the race (and for my crew) is to run aid station to aid station and go from there. Please don’t tell me “you’re almost there” or I might cut your ear off… It is going to be a long day (and night), so just knowing where I can see some semblance of civilization again (hello AMAZING aid stations) will help me break down the MASSIVE distance into manageable parts. 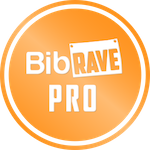 The plus of a looped course is that we will hit the same aid stations several times. 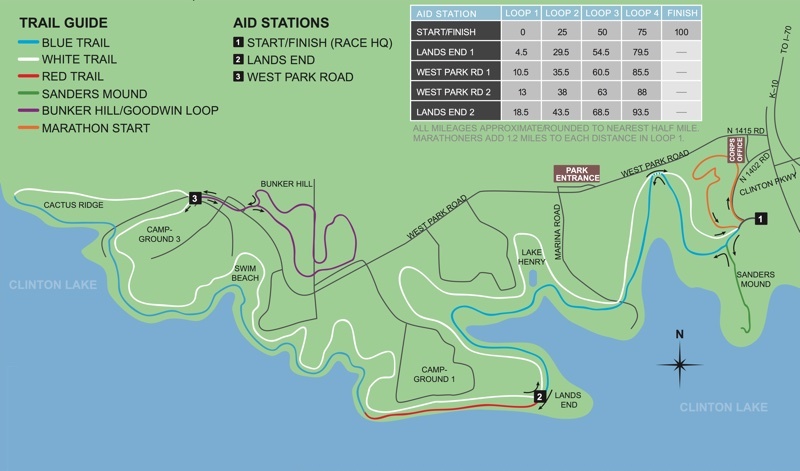 Each loop starts at the start/finish aid station, run through the Lands End aid station, then on to the West Park Road aid. Once you take a grassy stroll through the Goodwin loop, you are back at the West Park Road aid station (second pass), then through Lands End (second pass), and back to the start/finish. Rinse (not jinxing it) and repeat 4 times – easy peasy! Special instructions : grab and go! Special instructions : Drop off my pack/bottles to be filled by my crew, in and out as soon as we can! I can totally do the R8 on my own, but if the Stick is needed, then I will likely need something to lay on and someone else to roll me out. Oh yeah! Sequence : remove wet shoes/socks, dry feet, check for hot spots/blisters (deal with said issues), then wipe with alcohol wipes, dry, lube, new socks, (likely) wet shoes, and GO! I am not sure on timing with this one…but I plan to keep one charger on me from the start…I will likely need to change it out at the start/finish aid station, but it would be good to keep them on hand at West Park Road as well. Aid Station fare : basically anything on the table; watermelon, sandwich, soup, snacks…yum! I cannot believe how fast the past 9 months (since registered as a gift from the hubs) and 20 weeks (training schedule) have flown by! I knew the summer would go by fast…and I enjoyed many, many miles on the road and trail with friends near and far! I’m excited to FINALLY embark on this 100 mile adventure! I want to thank my amazing husband Matt for “gifting” me this opportunity to experience the 100 mile distance. The time and energy it takes to train and run 100 miles is no small feat and he has taken most of this in stride. Thank you for letting me be a homebody on Friday nights and sleep on Sundays ♥ I can’t get by without thanking my wonderful in-laws for watching little man while I run on the weekends. Their support is critical for me to get in those long training runs – and little man is always excited to spend time in KC with his family! I also want to thank my pacer Wael for flat out telling me that he was going to pace me for my first 100 last year (before I even ran my first 50 miler). We are going to have lots of fun on the trails and I am excited to see how you can push me to the finish line! And a final thank you to my lovely ride-or-die RBFs Michelle and Melanie! While I don’t always get to share the miles with them, their insight and guidance is always welcome and I know they are going to give me the support I need to get through the tough miles this weekend!